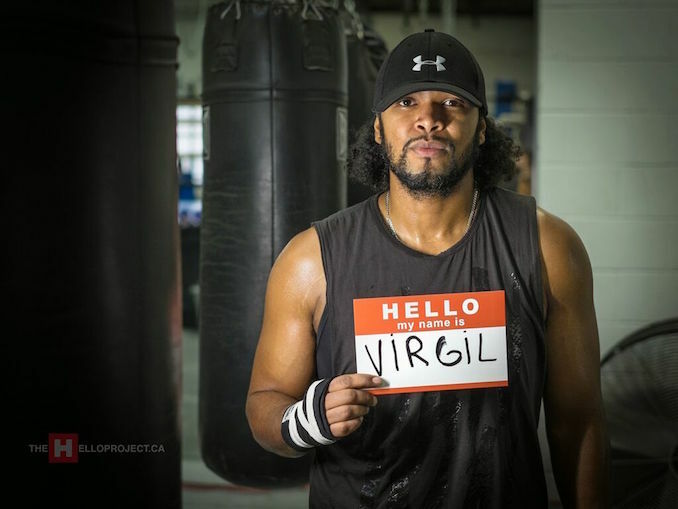 Virgil Barrow spends his days at Kingsway Boxing Club in Toronto, pouring his heart and soul into the sport of boxing. He dedicates six months of his life, each year, to coach ten men and women who have no prior boxing experience. 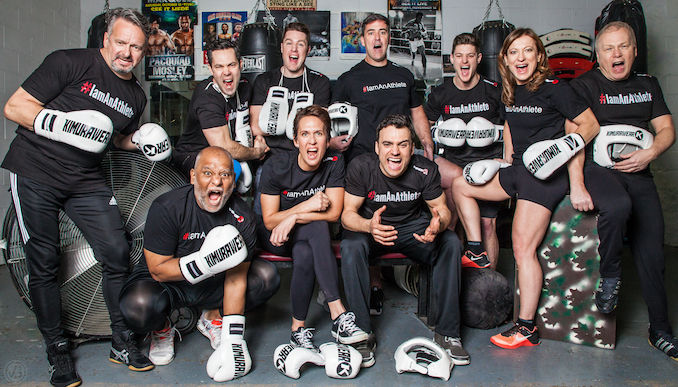 These incredible men and women step into the ring, to literally knock out cancer, at the end of the six months! The event they are participating in is called the Fight To End Cancer and happens this year on Saturday May 27, 2017, at the Old Mill Toronto. This is a group shot of the Fight To End Cancer 2017 Fighters. The Fight To End Cancer is a year round initiative carried out by ambassadors, sponsors and volunteers worldwide. We celebrate the incredible hard work and dedication of our FTEC family each year with a black-tie charity boxing gala. This gala showcases ten men and women who represent our Official Fight Team who step into the ring, to literally, fight cancer. Our 6th Annual Fight To End Cancer event will happen on Saturday May 27, 2017, at the Old Mill Toronto. On average, 96,400 Canadian women will be diagnosed with cancer and 37,000 women will die from cancer. 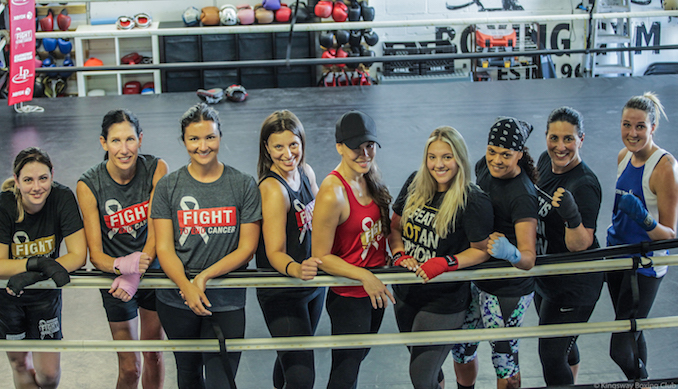 Every year, the Fight To End Cancer Gala features at least one female bout, that proves to be the ‘Fight Of The Night’. This invaluable glove symbolizes a cause that is larger than life. It was supplied by our official equipment partners at Kimurawear and will be auctioned off at the May 27th Gala, after the FTEC2017 Fight Team autographs it. 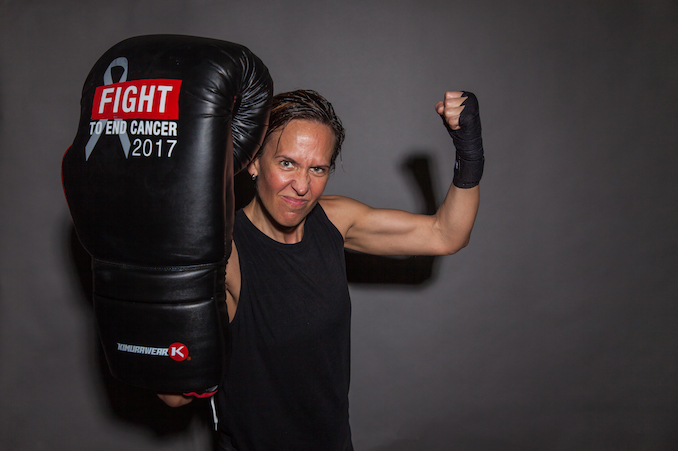 This is the only fighter in the history of Fight To End Cancer who has officially fought in two of our annual events (2012 and 2014). 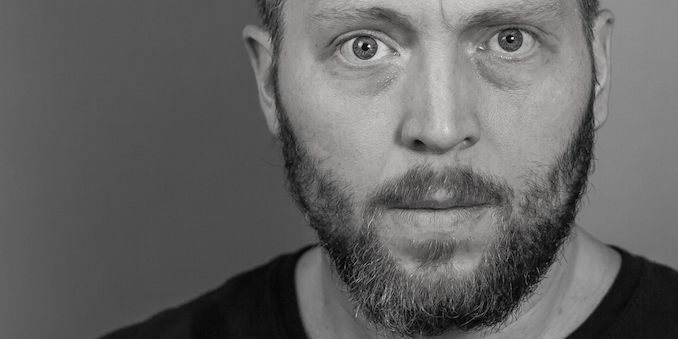 “Two Time” Peter Temoche is a true hero in the Fight To End Cancer. This is Jennifer Huggins, Founder and Executive Director of the Fight To End Cancer. She is a true example of eat, breathe and sleep what you believe in. She had a vision which has become a movement we are ALL a part of. Jennifer Huggins is working with 2012 Fight To End Cancer Fighter, Kassandra O’Reilly, in this photo. 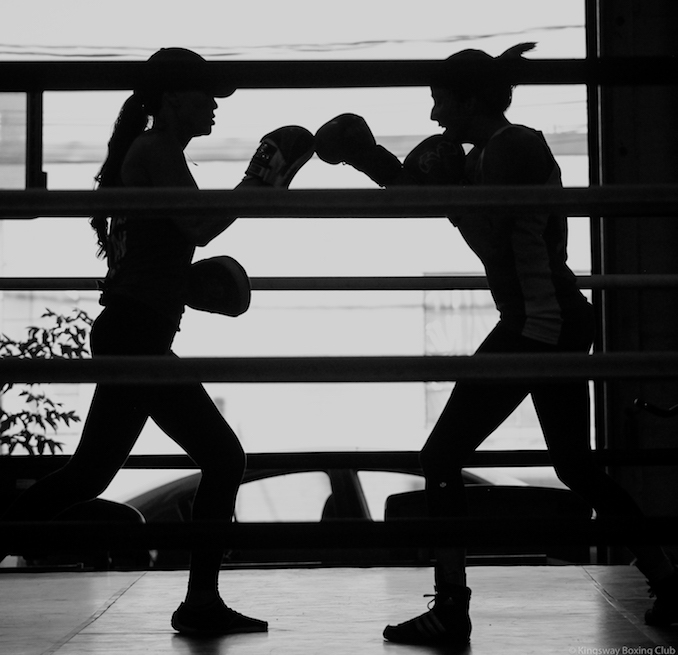 Cancer can lurk in the shadows and a true boxer develops in the shadows. 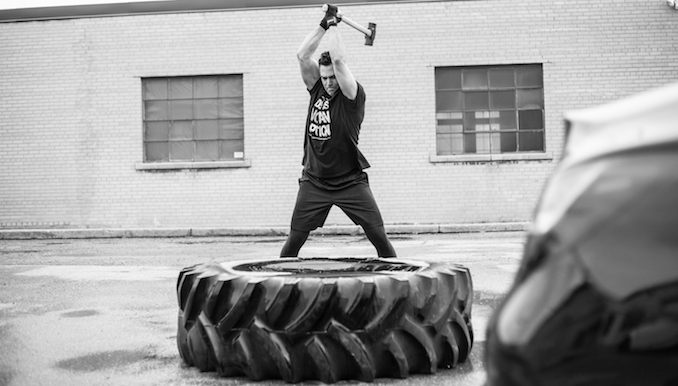 We can overcome any challenge inside and outside of the ring. Defeat Is NOT An Option! 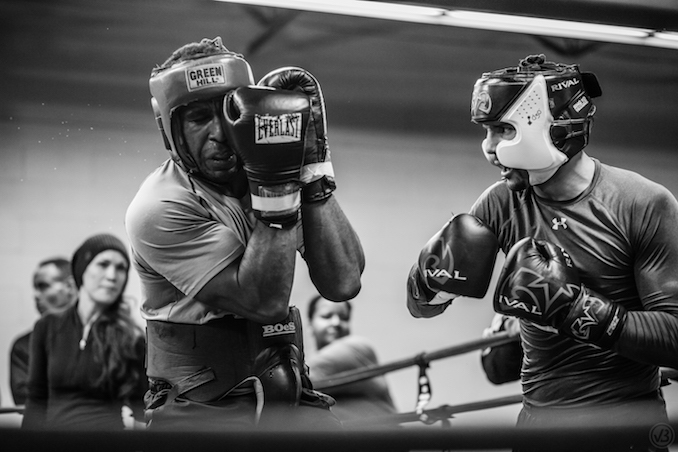 This was Virgil’s first invitation to photograph an Ontario Provincial Team Training Camp, which was preparation for the 2017 Boxing Canada Nationals. His passion for photography grows stronger every day, however, his heart is dedicated to giving back to a sport that has given him so much.